1. State 'True' or 'False'. a) Water flows very well through sand. b) Many plants can grow well in clay soil. 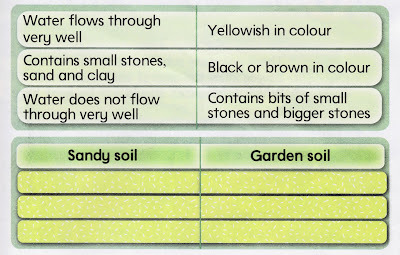 c) Garden soil is soft and black in colour. 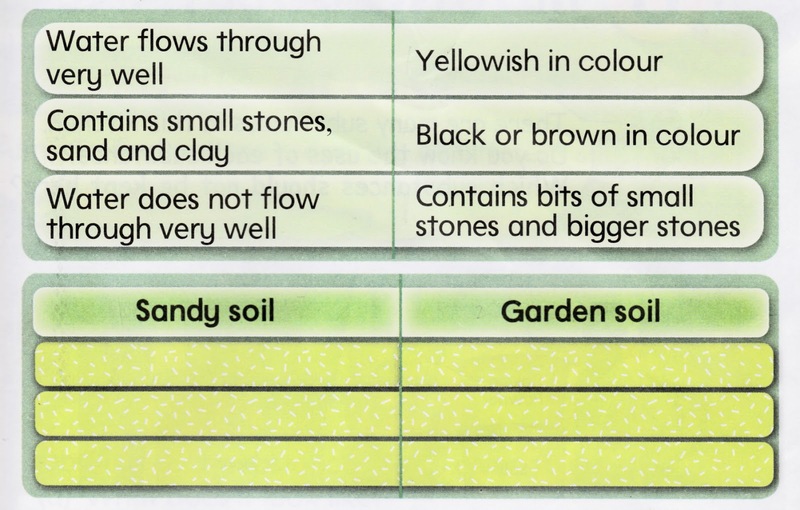 d) Plants can only grow in garden soil. e) Some animals live in soil. 2. Complete the table with the correct words given below. Nota kamu jelas dan tepat.